In poems inspired by and sometimes borrowing their forms from the novena, a nine-day Catholic prayer addressing and seeking intercession from the Virgin Mary, Jacques Rancourt explores the complexities of faith, desire, beauty, and justice. 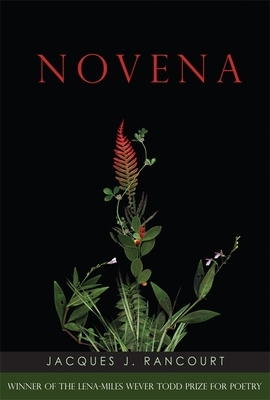 Novena is a collection that invites prayer not to symbols of dogmatic perfection but to those who are outcast or maligned, LGBTQ people, people in prison, people who resist, people who suffer and whose suffering has not been redeemed. In Novena, the Virgin Mary is recast as a drag queen, religious icons are merged with those who are abolished, and spiritual isolation is scrutinized in a queer pastoral.